The Illustrated Edition of No Light Tomorrow is now available. 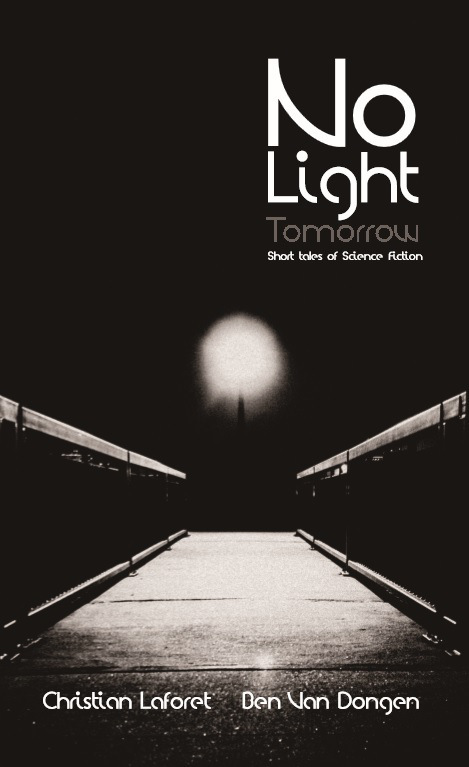 Released by Adventure Worlds Press and Mirror World Publishing, No Light Tomorrow is a collection of six Science Fiction short stories. Authors Christian Laforet and Ben Van Dongen have each written three stores that explore the idea of subverted expectations, loss, and the limits people will go when they have nothing to lose. and for special order from your local book store. ebook available on Amazon, Chapters, Kobo, and the Mirror World store, as well as many other online locations. Christian Laforet lives in LaSalle, Ontario with his wife, Lady, and his two girls, Lelaina Blue and Delilah Sunshine. When not writing books, he spends an exorbitant amount of time watching horror movies and playing video games.